It is Wednesday, middle of the week. What a week we have had, raining non stop that we have hardly gone out and between working and trying to get Layla out when the rain stops it has been exhausting but today the sun is shining and hopefully it will be for a couple of days. As you all know I watch Layla very carefully health wise as she is getting older like me and am always looking for ways to keep her healthy. I had noticed she was losing weight all of a sudden and was concerned so I took her to the vet a week a ago to find out what was going on. This was a vet I have never used but due to different reasons I had to go to her and it was the biggest mistake of my life. I have never met such a cold person in my life who all she was interested in was how to make money. She did not answer my questions, told me that she had a gum infection and did nothing about it, and in a nutshell I walked out of her clinic nearly in tears and worried big time. 01. It is better to give her an animal oil than coconut oil. 02. Because of the heater in our building, her skin is drying and she told me to put in her food fish oil and it will help. I do that anyway but am stopping with the coconut oil. 03. 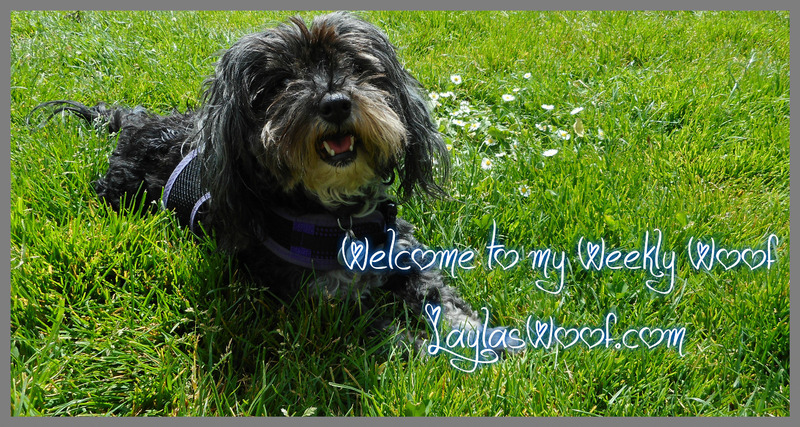 Vaccines – she does not think it is necessary for Layla to get this year flu shots, the Leptospirosis shot or any other and that her rabies is good for another 2 years. 04. I showed her the 4Paws Pet Blend Hemp Oil Supplement for Cats or Dogs, and because it has cod liver oil and cold pressed organic, virgin hemp seed oil she liked the product and told me to carry on giving it to her and that is the fish oil that she is getting. 05. I also showed her the 4Paws Topical Relief Balm, and all she said is if it is working that is good. So, with all this and I being happy with the products for Layla and I am loving the products also we are doing a give away this week for the following products worth $ 125.00 and will be open for Canada and USA residents over the age of 18 years old. 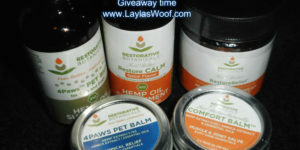 Restorative Botanicals are sponsoring this give away and it is our first of the year so good luck everyone. So that has been our week and we hope everyone is staying warm and safe in this cold weather.